LAN Parties from across the planet! 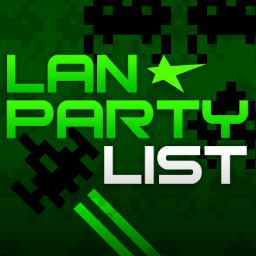 Find LAN Party meetups in your area! We are dedicated to uniting the LAN Party scene and PC gamers in real life. Discover gaming meetups, conventions, esport tournaments and game development jams near you! 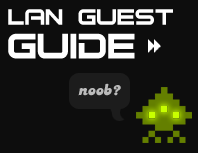 The LAN Party is the classic social video game event dating back to Quake. Harnessing the power of a local network for intense, lag-free multiplayer. Having your friends in the same room enables levels of interaction, coordination and smack talk unseen online. Esports Tournaments are competitive events where players compete for a combination of prizes, cash or fame. Spectators are usually welcome to sit back and enjoy! Gaming Conventions and Meetups are social events which may feature a variety of video game enthusiast related sub-events, cosplay, game music bands, tabletop board games and card games (such as Warhammer 40K, Battletech, and Magic the Gathering), and more. Video Game Dev Jams revolve around the art of video game creation. Programming, design, art and audio. These events normally span multiple days and some are known for pulling all-nighters in order to complete their magnum opus.